Joe Demarest, Justin Ettore, and Steve McFadden launched their small-batch coffee company in The Factory four years ago, and have seen it grow fivefold since. What the trio established as a small wholesale roasting operation has blossomed into a full-service retail shop and café. 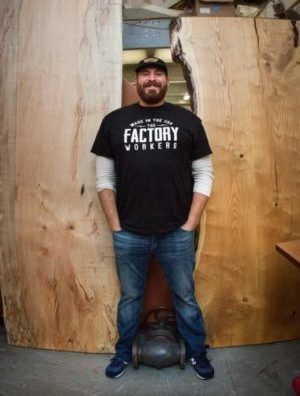 In addition to expanding the footprint of its commercial coffee roaster, The Factory has given Revolution Coffee Roasters a base of operations in downtown Collingswood from which to participate in its local farmers market and street fairs, as well as catering social events hosted in The Factory gathering space. These connections helped the company grow its walk-up business, while the cafe increased the visibility of its product and has emerged as a crossroads for customers of every stripe. “It’s a very productive and creative environment,” McFadden said. “Not only are we able to bounce ideas off some other businesses here, we’re able to take advantage of partnerships. Everybody in here promotes one another. “This has not only been a business incubator for us, but it’s also turned into a permanent home,” he said.